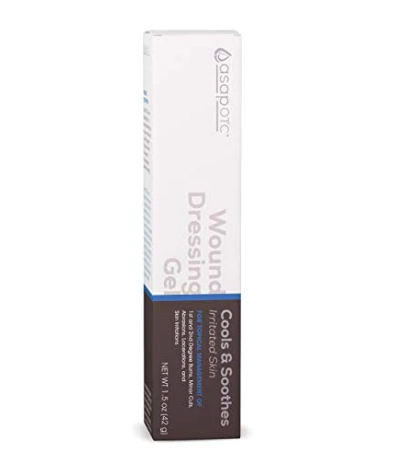 ASAP Wound Dressing Gel - 24 ppm, 1.5 oz (American Biotech Labs) - Penn Herb Co. Ltd.
ASAP OTC™ is a water-based hydro gel for use in moist wound care management. The gel may inhibit the growth of microorganisms within the dressing. Use for the topical management of: minor cuts, lacerations, abrasions, 1st and 2nd degree burns, skin irritations. As well as fungi such as Candida albicans and Aspergillus niger (black mold). 24 ppm Proprietary Silver Solution (purified water, non-silver at .01 micron), TEA, Carbomer. First Aid Management For: minor cuts, lacerations, abrasions, 1st and 2nd degree burns, skin irritations. Piercings; animal bites; sun exposure; laser hair removal; chafing; bug bites; razor burn; heat rash. Clean wound. 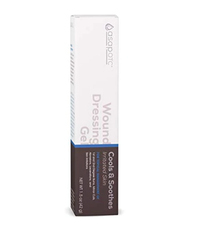 Use clean applicator to liberally cover the wound with ASAP OTC Wound Dressing Gel and secondary dressing. See enclosed package insert for complete use information. CONSULT A HEALTH CARE PROFESSIONAL IF YOU HAVE ANY CONCERNS OR QUESTIONS ABOUT THE WOUND.